The most dramatic face of climate change will be the catastrophes—the fires and floods. But there will also be the smaller, quieter moments of sadness. For instance, the fact that maybe you’ll have trouble getting your traditional New Year’s collard greens. 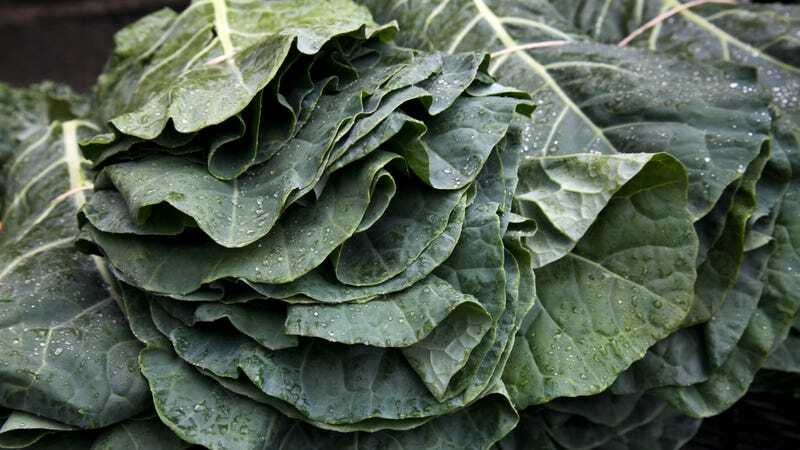 Anyone hoping to load up on collards this year though may need to consider a substitute, like mustard greens or kale. Extreme weather damaged collard crops all over the US this year. In the southeast, hurricane Michael disturbed small collards planted for Thanksgiving and the holiday season. Unusually high levels of precipitation in the southeast and in Texas made the ground too wet for the greens to grow well. In California wildfires prevented fieldworkers from harvesting collards, which already had suffered reduced yields thanks to damage from the Santa Ana winds. And of course, climate change is fostering more and more extreme weather. (Although you could probably grow collards on your own in a lot of climates, with some advance planning—they’re pretty tough plants.) My point is, climate change is going to be awful, but it’s also just going to be weird and random and it’s going to impact things you never even thought about. Fun thought to carry into the new year, instead of collards!